Seemed though a brilliant idea to use an 8 inch dual-SIM-Asus padfone to replace a notebook. Having to bring one charger only, use the dual slim slot for a local prepaidcard worldwide. Connect your bluetoothkeyboard and a mouse. No sensitive harddrive. Enough and robust SD-card flashmemory out on the road. Charge while you are riding. Longlasting battery and standby. Lots of good reasons to think that way and leave your netbook at home. Trouble started with Goggle introducing Android 4.4 Kitkat. Thus ever since no external app could store or write on your external SD-Card anymore. Resulting in creating unreal workarounds that problem by downloading app after app. I finally had to go through 5 different apps to just store and backup pictures and movies from my SLR, the small camera and the two videocams. Even the connecting USB-Port needed an application plus special OTG-cables of its own to be recognized. Google seems to force anybody into their cloudspace for storage – even if this ever worked, there simply is no cloud at most places of this planet while you are travelling. What a pointless idea folks ! Android 5 updates are available and seem to correct this nonsens partially - yet there was no update for my machine offered by Asus until now. After having decided to arrange myself around that somehow, after only 4 more weeks the micro-USB connector decided to slowly but steadily pass away. Internetresearch declared this to be a fatal, non curable diagnosis while out on the road . No real repairs other than holding the plug for a couple of hours while charging or loading stuff via the USB-connector. Even if that had not happened : Any editing of the homepage , any Email or just other regular programm use got a nuisance. As soon as you touched the screen anywhere accidentally, unintended things started to happen on the other side of your touchscreen. Getting off after 300- 500 miles on your bike and working on that 8 inch device starts to become a pain pretty soon. With all these hassles I felt it was urgent time for a change. Went to „Best Buy“ to look for a robust, yet performing netbook to work on things the classic way again. Seemed I found a brilliant little thing. Built by a reputated company like HP. 25 GB Flashdrive, up to 64 GB SD-Cardmemory. 1,5 Ghz Intelprocessor, 2 GB RAM, good screen and longlasting battery . Seemed the brilliant companion for the road. Trouble started with Windows 8 being preinstalled. Using 22 (!) GB of 25GB available space on the C-Drive already. Stopped any downloaded programme from working by immediate cacheoverload . All this despite all efforts to solve problems on the road by IT -Expert friends with teamviewer support from home varoius times. Could not even write and temporarily save an email on that machine anymore. Next was the netbook simply shutting itself down amidst working for no reason . Battery charged, device plugged into power. Shut OFF ! But that way it did not hurt too much , that the keyboard would not work properly out of the box – and worst of all the „SPACE“-key did not work . ( thusproducingalltextlikethis,thatafterttypingyouwouldhavetomanuallyseparate,wastinghoursforjustatinyemail ) As much as you are battling to read this , as bad was typing and correcting every Email for hours by mouse and cursor after typing. Whoever invented windows 8 with the idea to make a netbook a tablet or a smartphone – be advised that people buy tablets, if they need one. And netbooks and laptops, if they need to work on PC. Windows 10 already found out on that. So avoid anything that is named Windows 8 – which is the legitimate heir of Windows Vista crab to me. As neither keyboard nor harddrive spaceproblems could have been solved by installing Windows 10, next step was to say goodbye to the nevereverworking HP-netbook again. Warranty repairs while on the road are simply no option. So whilst heading further east towards Florida, I asked my friend Robert at home to ship my German Windows 7 netbook from Germany to my friends in Georgia. As fast as he did that, as fast it got trapped and stuck in Germanies postal union strikes next. The tracking number frozen somewhere between the Northern German sea and New York customs, nothing moved. Getting desperate the Netbook might not get into the States at all before departure , it finally arrived to Georgia with some pretty delay again. So by now I am setting up the third „ride-and-bulletproof-device within 3 months riding time !? After all riding adventures in the last 30 years, this is pretty much the first time , something like that happens to me . One may think , this is just a modern times luxury problem. And honestly it somewhat is. Synchronizing and backing up SLR and point & shoot as well as 2 videodevices with the needed IT-Hardware, riding 250 to 400 miles a day and more, updating the German app, adding input on Twitter, Instagram, and editing video on youtube. Ride in all weathers. Take pictures and videos. Plan and organize as much the trip as your life on the road and collect donations with all that. And most of all openminded meet the people of this world. 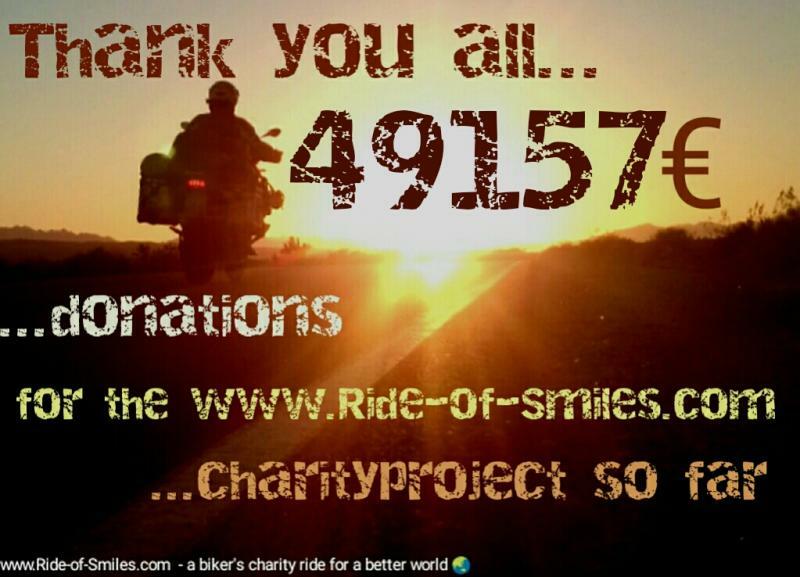 Kindly explaining and answering all the friendly questions what the Ride-of-Smiles charityride is all about a dozen times per day. By the end of the day I know , why this is a charityproject , that comes with riding a motorcycle. And not a holiday. Every new cent of donations make any effort worth doing it. IT-work is part of it. Yet nicer , if it works. Tablets and all devices alike are nice at home and while you are on the road, if you do not need to do much more than reading Emails, searching the internet or update your social media every once in a while. Whereas all that can be done from any new generation 5inch smartphone just as good. While smartphones usually have better builtin cameras and other advantages, I personally see not much more reason for a tablet at all. Any serious work should be done on a PC level netbook or laptop, whatever you prefer. If you decide to use an sdflashacard-netbook, make sure you use at least 100 GB SD-flash for sufficient performance. By the end of this sequence of technical breakdowns and failures, should I really add more about the promises of cellphone providers all over Northamerica. I will not even spend much time on Candaian cellphone service. It was extremely poor in 2008. Actually managed to keep that level for the last 7 years. Outside big cities and maybe the Transcanadian highway it is by far the better deal to use Voice over IP , once connected to some public wireless. As in the US you find plenty of these around the widespread Fastfood-chains and many other places. If you gently ask you may even get access to private or other company wireless networks. So a prepaidcard in Canada is not really needed. Starting on high promises about coverage the best seems to be Verizon. Unless they do not offer prepaid service , but make you buy phones on 2 years contracts . So not really useful on this travellingproject. Next best service was AT&T offering prepaid phone incl. 5 GB data at 60 USD a month. Would have been a deal, if not most of the time there was no coverage. And if there was, it was without the promised internetservice. It usually works next to the interstates ( if not out in the western deserts) and around major cities . Back in the boonies and out on the backroads it hardly did as promised. And that is, where travelling starts , as well as meeting the people and their stories. So hopefully things will now settle fromn the IT side . I understood in the meantime , why neither well cars no planes, that ride or fly by wire are setup on Android, Microsoft, SAP or Apples` software. If it comes to reliabilty in IT, that name is LINUX. If I had to start it again, I would do that definitely on a proper netbook. Most likely with sufficient SD-Flashcard space or just a regular netbook. So I hope you can avoid some of my early learningcurve by reading this and it may at least help to understand, what took me off writing far too long. Appreciate your patience and understanding on this....see what comes next. Travelling always meanst to expect the unexpected. And solve your problems while you are on the road. Can be rough and tough sometimes. Some solution is yet to come...always. Die Idee, ein ASUS-Tablet mit Dual-SIM-Funktion als Notebook-Ersatz mitzunehmen, hatte Charme. Online mit einer lokalen Prepaidkarte zu sein, Blog und Twitter abzusetzen, Clouddaten hochzuladen,geringes Gewicht, ein Ladegeraet fuer alles, unterwegs ohne Netzteil auf dem Motorrad laden zu koennen. Ausreichend unempfindliche Flash-Speicher, lange Standzeit und mechanisch robust ohne empfindliche Festplatten. Vermeintlich viele gute Gruende in Kombination mit externer Tastatur und Reisemaus,sich gegen das heimische Netbook zu entscheiden. In der Realitaet eine sehr zeitfressende und wenig funktionelle Arbeitsebene mit der klaren Empfehlung hin zum Netbook unter Windows 7 , wenn denn Windows. Fangen wir mal mit dem Tablet unter Androit 4.4 Kitkat an. Android laesst ab Version 4.4 keine externe Anwendung mehr auf der externen Micro-SD-Karte speichern. Google ist wohl der seltsamen Meinung, dass die Menscheit gefälligst Googles Internetcloud zu benutzen hat, um etwas zu speichern. Um überhaupt arbeiten zu koennen, braucht es eine Vielzahl an Apps, die einen Workaround um dieses Problem moeglich machen. Weder der Wirelesstransfer von Smartphone auf Tablet noch der Upload in die Cloud haben zu irgendeinem Zeitpunkt vernuenftig und stabil funktioniert( auch nicht bei schnellen WLAN-Verbindungen im Haus von Freunden), noch weniger in langsamen Motelnetzen. Das Android-Tablet ist damit als externes Speicher- oder Backupmedium nahezu unbrauchbar geworden. 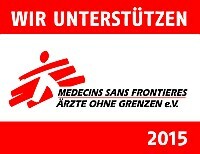 Einige Geraete bekommen mglw. ein Update mit Android 5. ASUS stellt kein Update fuer das 8 Zoll Fonepad bereit. Wirklich schlimm wurde es dann nach ca. 5 Wochen Gebrauch, als die Micro-USB Ladebuchse ihren Dienst mit massivem Wackelkontakt quittiert hat. Ein Laden des Geraets ist damit unterwegs nicht mehr moeglich, und selbst in Ruhe nur mit vielen Tricks . Reparatur nach Internetrecherche Fehlananzeige, unterwegs sowieso und Garantie ebenfalls. Das Problem der defekten Micro-USB- Buchsen ist ein offensichtlich sehr weit verbreitetes auch in den Smartphones selbst. Also bitte vorsichtig damit umgehen – zuhause wie unterwegs. In Summe kann und konnte ich mehrere Wochen nicht einmal vernuenftig arbeiten, habe mir inzwischen ein amerikanisches Windows8 Netbook mit Flash-SD-Speicher zugelegt und versuche diesem ,Windows 7 beizubringen. Wer Windows 8 gebraucht hat, bleibt mir wohl ein unerklaertes Raetsel auf dieser Reise. Ein Zwischenfazit zum Tablet : Alle APP-Funktionen, die Sinn machen, kann ein aktuelles Smartphone genauso gut handlen. Zusaetzlich haben Smartphones bessere Kameras und sind leichter/kleiner und damit erste Wahl fuers reisen. Gute Dual-Sim Telefone sind dabei leider sehr rar geworden. Hier wird am Ende jeder seine eigenen Schwerpunkte setzen muessen. Obwohl ich jetzt fuer das Netbook ein zusaetzliches externes Ladegeraet benoetige ( zum Laden muessen19 Volt zur Verfuegung stehen, wofuer es einen Transformator von 12 auf 110 V Netzspannung braucht – der Lueftung und Kuehlung benoetigt . In dieser Hinsicht logistisch deutlich schwieriger, als die 12 Volt Ladebuchse der Smartphone USB-Lader) halte ich es fuer die deutlich bessere Arbeitsbene fuer alle, die mehr machen, als im Web zu surfen, ab und zu bei Facebook , Twitter oder whatsapp zu posten, und Emails zu lesen. 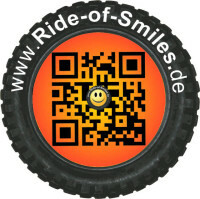 Die Projektarbeit im Ride-of-Smiles ist mit dem Netbook deutlich besser aufgehoben. Auch das war ein wunderbarer und schoener Gedanke. Und jetzt das Update zum netbook unter Windows 8. Wieder ein guter und nachvollziehbarer Gedanke. Klein, relativ leicht, dank SD-Flashdrive keine empfindliche Festplatte an Bord, wenn es doch mal wieder rauher zugehen sollte auf der Piste. Oder das Ding einfach mal irgendwo von der Sitzbank rutscht, wenn man unterwegs ist. Sollte nicht passieren. Passiert aber . Das ich mittlerweile feststellen durfte und musste, dass das vorinstallierte Windows 8 ueber 22 GB der vorhandenen ( und wegen SD- Harddrive) nicht wechselbaren 25 GB Festplatte verbraucht, waere bereits ein Grund gewesen,es nicht anzuschaffen. Das der verbliebene Arbeitsspeicher dann von Microsofts Speicherdateien so vollgeschrieben wird, das bereits das Versenden einer Email zum Zufallsprodukt wird ( es ist kein Platz mehr fuer das temporaere Zwischenspeichern vorhanden, weil Windows diesen beansprucht) , ist leider ein einziges Desaster beim Arbeiten. Der Rechner muss trotz mannigfaltiger Reparatur und Verbesserungsversuche durch hochrangige IT-Cracks andauernd neu gestartet werden,um uberhaupt etwas arbeiten zu koennen. Geht ihm dann mal wieder der Arbeitsspeicher aus, entschliesst sich Microsoft in seiner seit Jahrzehnten vorhandenen Eigenlogik regelmaessig dazu, das Geraet einfach ! mitten im Arbeiten abzuschalten ! Das ganze trotz eingestecktem Netzteil bei voll geladenem Akku. Die Bilder und Videos der Kameras damit einzuspielen wurde damit genauso unmöglich, wie irgendeine sinnvolle Nutzung unterwegs. Einen solchen Unsinn zu verkaufen hatte ich nicht im Traum erwartet. Das am fabrikneuen Geraet bereits die Leertaste auf dem Keyboard ihren Dienst versagt, macht das ganze Szenario dann beim Schreiben derart kompliziert, dass jedes dritte Wort haendisch getrennt werden muss. Der Zeitaufwand dabei ist leider entsprechend hoch und blockiert mittlerweile erneut jedes vernuenftige Arbeiten. Saemtliche Texte waren damit alle mehr ooder weniger in einem Wort ( dasschaut dannnungefaehrsoausund wirddurchdieamerikanischeTastaturnichtwirklicheinfacher..
oder DieserTextbrauchtmittlerweileuebereine StundeundwaereohneKorrektur nur sozulesen) Eine Email zuschreiben dauerte mindestens eine halbe Stunde zur Korrektur aller Leerzeichen und Fehler. Das Einsenden des Netbooks macht dabei trotzdem keinen Sinn, da sich das Speicherthema damit nicht lösen lässt. In letzter Verzweiflung habe ich am Ende meine Freunde Robert und Christine in Pfronten gebeten, mir ueber DHL mein deutsches Windows 7 Netbook zu schicken. Das war dann zwar auch ab 21.7.2015 unterwegs. Ist aber erstmal den Nachwehen des Verdi-Poststreiks im Juli zum Opfer gefallen. Über Wochen war dann keine Bewegung in der Trackingnummer des Pakets erkennbar. Telefonische wie Internetrecherchen fuehrten zu keinem Ergebnis, und es stand zu befuerchten, dass das Paket nicht mehr rechtzeitig in den USA ankommt, bevor es weitergehen sollte. Am Ende ist dann alles mit viel Verspätung doch heile angekommen. Das innerhalb von 3 Monaten 3 neue IT-Hardwareebenen notwendig werden ist zumindest in meiner Vita als Mensch wie als Motorradreisender reichlich einmalig. Deswegen an dieser Stelle nochmals sorry dafuer, dass hier vieles verspaetet erscheinen muss. Ich hoffe doch sehr, das wie heir unterwegs noch eine befriedigende Loesung finden. Wie das dem Reisen in dieser Form aber nun mal eigen ist : Probleme, die vor einem auftauchen muessen unterwegs geloest werden. Das ist eine von vielen Aufgaben und Lektionen on the road. Es gilt Loesungen zu finden , Und aus erlebtem zu lernen. Wie im Leben selbst. 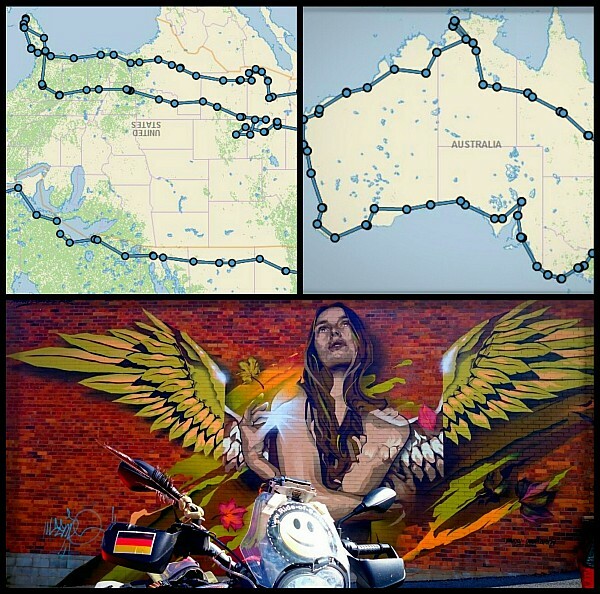 Bilder und Videomaterial aus Spiegelreflex, Actioncam und Handy ueber mittlerweile dann 6 Hardwaregeraete, Blog in Deutsch und Englisch,Youtubevideokanal, Twitter und App zusammen mit Spendenstand, Homepage, Bildergalerien und 400 km Mopedfahren pro Tag , fotografieren, filmen, reisen, planen, organisieren, Motorrad warten und dem Einwerben von Spenden synchron zu halten. 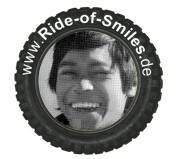 Dabei den Menschen unterwegs offen zu begegnen und geduldig 12 mal am Tag zu erklaeren, warum das Ride-of-Smiles-Projekt auf Reisen ist, macht das Ganze schon recht sportlich. Meine warme Empfehlung aus dem Gelernten daher : Fernreisen nicht mit Tablets zu machen, wenn ernsthafte IT-Arbeit notwendig ist. Internetsurfen, ab und zu eine Email lesen oder whatsapp und facebook kurz updaten, dafuer mag das Tablet taugen. Ein 5 Zoll Smartphone kann das genauso gut. Alles andere braucht vernuenftige Arbeitsebenen auf PC-Niveau. Wer mit SD-Flashrechnern wegen ihrer mechanischen Robustheit liebaeugelt, sollte auf ausreichend grosse SD-Karten achten und Windows 8 unbedingt vermeiden. In Zukunft werde ich wieder von Anfang an mit Netbook und 500 GB Harddrive unter Windows7 reisen. Soll ich jetzt wirklich noch etwas von den Versprechungen zur Prepaidkarte für Tablet und Handy erzaehlen. Wie überall preisen alle Handyprovider ihre Netzabdeckung in den höchsten Tönen an. So auch in USA und selbst in Canada. Die vermeintlich beste Netzabdeckung in den USA hat dabei wohl verizon. Das bezahlt man allerdings damit , dass es keine Prepaidkarten zu kaufen gibt. Statt dessen muss man Telefone mit 2-Jahresverträgen erwerben. Für unsere Zwecke nicht brauchbar. Naechstbester Anbieter im Ranking war ATT mit 60 USD pro Monat bei 5 GB Datenvolumen. Klang prima, Verlängerung online und monatsweise. Alles gut auf dem Papier. Wenn denn nicht ueber fast ¾ de Strecke das Telefon wenn nicht meistens ganz offline, mindestens aber ohne Internetzugriff war. Funktioniert halbwegs ordentlich in der Nähe der Interstates ( =Autobahnen) und gut in Ballungszentren grosser Staedte. Auf den von mir befahrenen und gesuchten kleinen „backroads“ war es lange Zeit leider überhaupt nicht vorhanden. Über Canadas Handyempfang breite ich einfach mal den Mantel des Schweigens. Ausserhalb groesserer Staedte gibt es ganz einfach keinen. Wer Internetzugang nicht regelmaessig wie ich in diesem Projekt braucht, ist mit den öffentlichen WLAN-Netzen gut versorgt, wenn nur Internetsurfen oder whatsapp angesagt ist. Diese finden sich zahlreich entlang der Fastfoodketten, aber auch zahlreicher Firmen und anderer Quellen, wenn man das Handy nach WLAN-Zugängen suchen lässt. Sensible Daten gehören nicht in diese Netze. Telefonieren über Prepaid selbst ist midestens in den USA eine gute Option. Und dabei wesentlich guenstiger, als teure Datenverbindungen zu bezahlen, die nicht wirklich funktionieren. Upload von hochwertigen Bildern mit mehreren MB Datenvolumen, geschweige denn Videos im GB-Bereich unterwegs in die Cloud zu laden, entspringt mehr dem ist mehr Wunschdenken als der online- Realität. Ich kopiere mittlerweile alles auf einfache SD-Karten und schicke diese nach Datensicherung meinem Freund Robert mit normaler Post nach Hause. Er sichert diese bei sich ab und ich kann die dann freiwerdenden Speicherkarten für neues Bild und Videomaterial nutzen. Zumindest aus USA und Canada hat das bisher sehr gut funktioniert.